According to well known human development theorists the adolescence stage is usually the very complex stage in anybody’s life and it is always a challenging task to deal with adolescents. Many adolescents usually feel they want to control everything about their lives. This is usually influenced by the many biological changes that happen in their bodies and mostly young adolescents prefer to associate themselves with fellow adolescents and people who are slightly above their age. 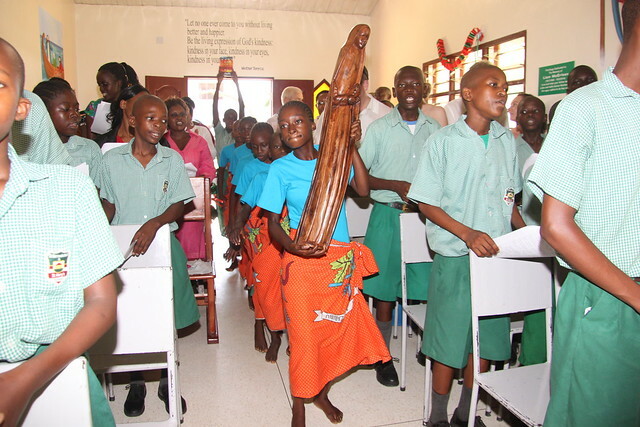 According to the Kenyan culture many communities usually prefer to assign their young adolescents different responsibilities that will strengthen their experience and capabilities in doing different roles before they become adults. Also at this stage some communities prefer to circumcise their boys and they usually undergo a certain rites of passage. After the rites of passage boys usually begin to learn how to build their own huts and sleep in them. On the other hand girls are usually assigned more roles which are associated with the female gender to facilitate them to grow into being responsible women. 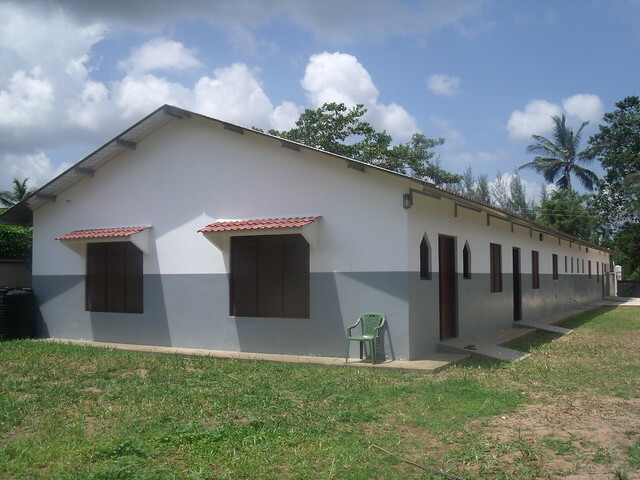 Here at GLO our young adolescents might not be undergoing the same experience like those children in the village but when they turn fourteen years they get a special opportunity to join Transition House which is a preparatory centre for the life after GLO. Currently all children above nine years old are aware that when a person moves to the Transition House it means one does not behave like a kid any more but rather as a young adult. 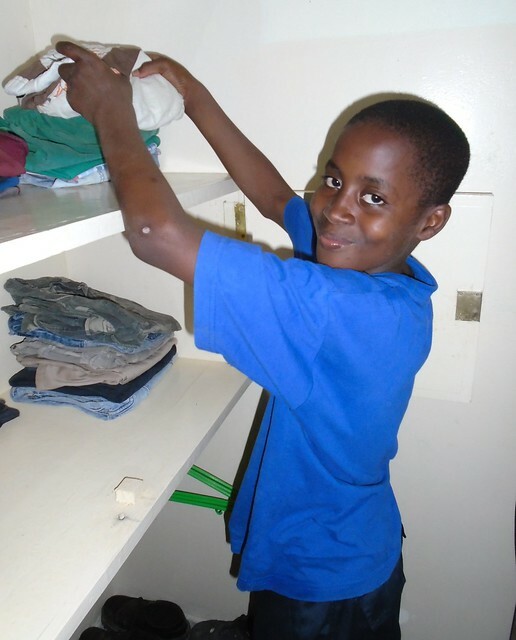 In the Transition House the adolescents are given an opportunity to control their own lives with little supervision of a Mama and the Social worker. March 2014 was a time of great joy when Dermot & Jackie McKenna opened the McKenna Wing of our Transition House for our boys. 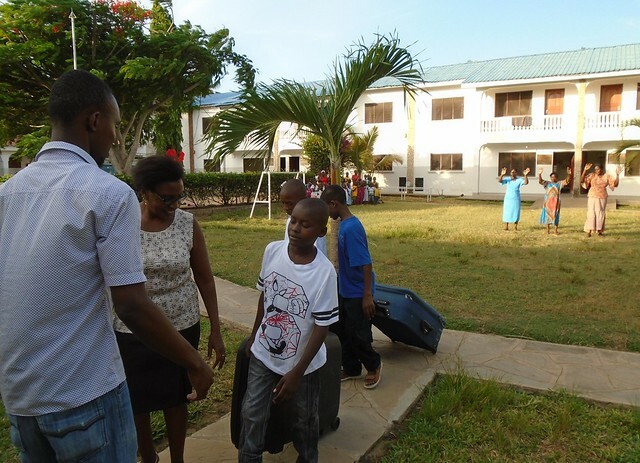 Abduallah, Collins and Saidi shifted to the Transition House and they all set a good example for the others since they created a feeling among the adolescents that the Transition house is a very special place to be. They all enjoyed the privileges of having weekly outings where they visited their friends, planned their own menu and bought their own clothes depending on their taste. They also enjoyed going to the market to purchase different items on their own and those with any known relatives were allowed to travel on their own to visit them. Kanoti Abdhalla, Moses Baraka and Hamisi Jabir were very eager to make the big move in January 2016. The three boys are all approximately fourteen years old as we do not have an exact date of birth since they all joined the GLO when they were above 5 years by estimation. 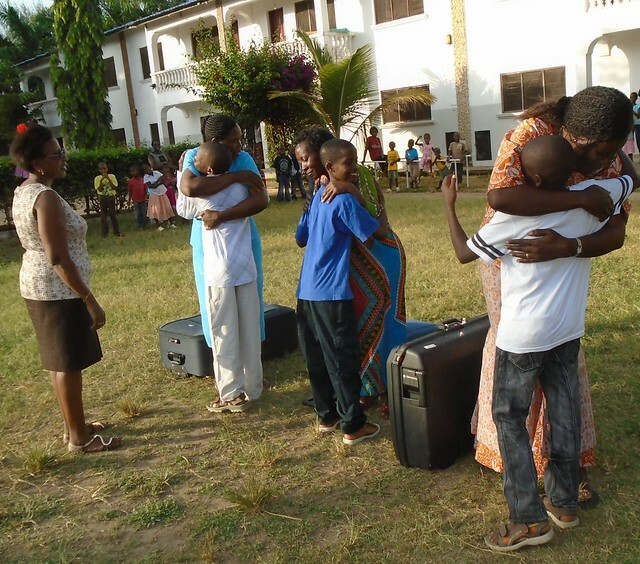 As always there was so much excitement both from those shifting to the new house and former families at respective houses including the mamas and aunties who walked them across to hand them over to the new family with great cheerfulness. Maguire, Kilroe and Keogh Houses will be much quieter now since the boys have moved across to their new home. 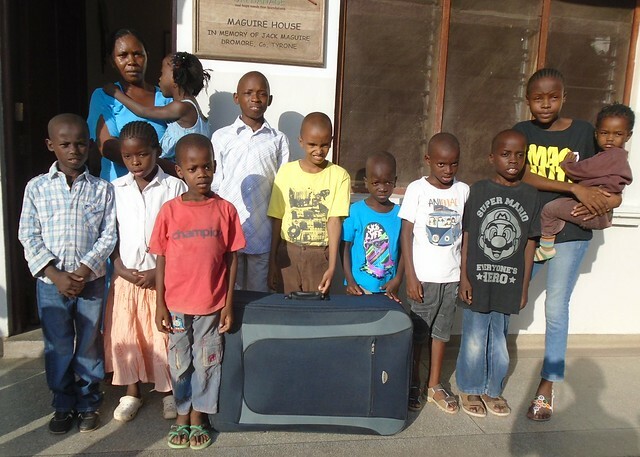 It was an amazing experience as each boy held his suitcase matching to another stage of development in autonomy for they seemed so ready to embrace the change and becoming more responsible with independence.The new boys are now enjoying their lives in the Transition House and are already referring to themselves as adults. In this short time period we have already seen changes in some of their behaviour including Moses who is very enamoured with his new home. We always knew the Transition House was much needed but nothing could prepare us for the change it makes in our young adults lives by giving them a certain degree of independence whilst still guiding them through this difficult time in their passage to adulthood. A special word of thanks to The McKenna Family, without your help Dermot & Jackie this would be an impossible task for us to overcome but with your ongoing support you are enabling our children to experience the positives of living in their new home and gaining so many life skills in preparation for the day when they leave our project.